How can I check my billing history? Click on your name on the top right of the page and select Billing from the drop-down menu to access the Billing page. 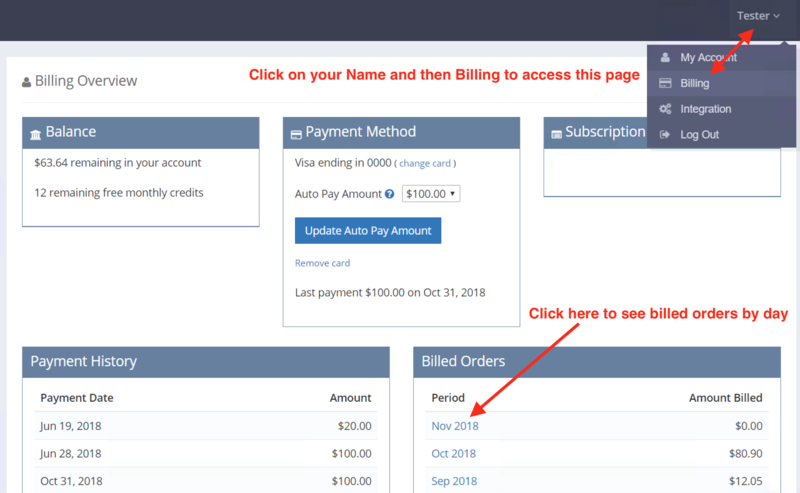 Once you're on this page, you can see the Payment History of the times your credit card was charged. And you can click on the Months under Billed Orders to see what you were billed, if any, during that month. If you have any questions, please contact us at info@sellerzen.com or start a chat with us through the chat icon anywhere on our website.